Crystal Eidson (Tony), April Shirazi (Ali), Robin Phimmaseng (Sam), Ronnie Jean Albertson, Lenna DeBoard (James), Tammy Sutherland (Tim), and Lorrie Brown (Paul). Robert Maddox (Lavonne) and Michael Maddox (Angela). 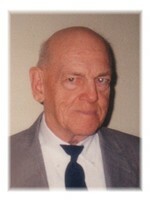 To send flowers to the family of Robert Gene King, please visit our Heartfelt Sympathies Store.